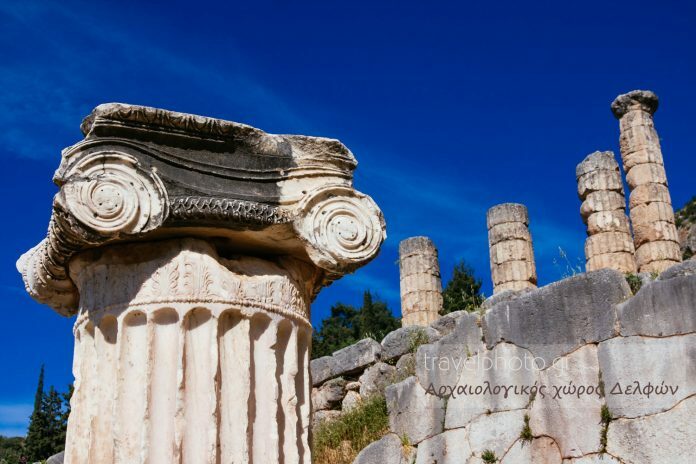 In the museum of Delphi you can admire sculptures and objects d art from the sanctuary. Among them are the statues of the two kouros designed by Polymidis the 6th century BC and reflect either the Kleovi and Vitona or Kastor and Polidephki (Dioskouroi). Of the most valuable and famous sculptures in the museum are the famous Hniohos of Delphi oracle, which was donated by Polyzalos, tyrant of Gelas. The artist is unknown. Of exceptional value and beauty are the fronts of the museum depicting the Battle of the Amazons with Theseus and Hercules and the relief frieze of the Treasury Siphnians. Two heads of ivory attributed to Apollo and Artemis also dominate here, while numerous items of great value which were donated to the oracle or were dedicated to the gods will impress you with their art. In the rest of the archaeological site, every stone has its own magnificent history. A thorough visit lasts one day! But it certainly worths to stand in the ancient stadium where the Pythia were taking place every 4 years. The stadium was built in the 5th century b.c but had wooden seats. In its current form it was made by Herod Atticus in the 2nd century a.c., when its impressive entrance was built. Finally, the Doric temple of Apollo where the sanctuary of Pythia was it is located here. The church was originally built in the 6th century b.c but it was rebuilt in the 4th century a.c. and the ruins were restored by scientists in the end of 1930. Other important monuments are the traces of the Holy Road, the 'Treasures' in many cities, where the votive to the oracle were kept, the Gymnasium, the Pronaia Athena and the magnificent, symbolic Castalia source. The whole area is surrounded by the Faidriades Stones, the well known vertical rocks while the buildings are built on the slope and have an elevation difference that reaches the 200 meters. For your visit make sure that you bring water with you and appropriate clothing for the season, as the long visit on the site will be tiring. You can relax briefly on many points admiring the monuments, and you certainly will not want to leave until you see everything!